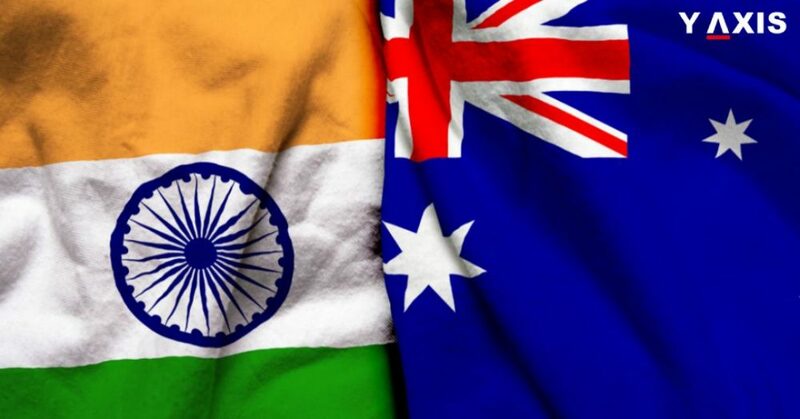 With more than 1 lakh enrolments and 25% increase, Indian students are the second largest group of overseas students in Australia for 2018. They also now account for 12.4% of the overall enrolments of overseas students. China remains at the top with 2.56 lakh students enrolling in Australia in 2018. Students from China account for 29% of the international enrolments in the Land Down under. Australian Government has also announced an Additional Provisional Graduate Visa. It offers an extra year of works rights post-study for overseas students. This is for those who graduate from a registered University through its regional campus. Currently, a 2-year Post-study Work Visa is available to overseas students. This is if they study Bachelor’s or Master’s degree level in the Land of Kangaroos. Now they get an extra 1 year if they study in regional Australia, as quoted by the Times of India. The new Additional Provisional Graduate Visa for overseas students will assist Australia in its overall plan for decongesting the popular cities. These include Gold Coast, Brisbane, Perth, Melbourne, and Sydney. It will also help in attracting more number of overseas students. To qualify for the new Visa, overseas students must first graduate from campus in a region. They must spend at least 2 years residing in that area. This Visa will be available for first qualified graduates from cohort 2021. The ongoing residence in regional Australia will qualify overseas students for an extra 1 year. This is for those who currently hold Subclass 485 Temporary Graduate Visa. The Prime Minister of Australia Scott Morrison also announced new tertiary scholarships. This is for attracting domestic and overseas students to study in regional Australia. The worth of these scholarships is 15,000 AUD each. It will be offered to 1000 plus international and local students annually. Y-Axis offers a wide range of Visa and Immigration products as well as services for aspiring overseas students including Student Visa Documentation, 5-course search with admissions, 8-course search with admissions and Country Admissions Multi-country. Y-Axis offers diverse products such as IELTS/PTE One to One 45 min and IELTS/PTE One to One 45 min package of 3 to help the aspiring overseas students with the language tests. If you are looking to Work, Visit, Invest, Migrate or Study Abroad, talk to Y-Axis, the World’s No.1 Immigration & Visa Company.